Marketers keen to do DIY surveys outside of their research departments would do well to realize the comparative differences between software packages available. Consumers like to give feedback in various ways and your data capture software needs the ability to gather data in different ways including online, mobile, face-to-face paper and mobile interviewing, kiosk and paper surveys. Analysis capabilities should be able to aggregate this data (including multi-language versions of questionnaires) into one, seamless report. Why do customers choose Snap Survey Software over the competition? As you review Survey Software and Feedback Management Solutions, we invite you to review Snap Survey Software to learn what distinguishes our survey software and feedback management solutions from other survey solutions on the market. Why do our customers choose Snap Survey Software as their survey software solution? We provide 8 great reasons why. What are the Advantages and Disadvantages of Surveys? Surveys are easy to develop, especially when using the advanced survey software solutions available today. Many researchers are tempted to do much of their data collection online; however, it is not always the preferred mode of data collection, especially if respondents are in hard-to-reach areas. Whether a researcher uses an online survey, mobile survey, paper survey, or a combination of all modes, the mode should depend on the type of study and the demographics of respondents. Have you ever wondered how well your annual conference is perceived by attendees? Are you looking to evaluate a new product? How about collect data from clients about the new service you are offering? Online Surveys can be a huge help in understanding what your users think, what their wants are, and how successful your programs, products, or services are. 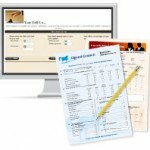 Conducting online surveys is a big part of collecting honest feedback. Online survey software solutions can be a cost-effective way to design and administer surveys, and collect and analyze results through one central software program. While an online survey software solution is not going to be the right fit for every research need, online surveys are a great tool to gather informal data quickly and efficiently. A paper survey, however, is likely to get a much-higher response rate at an in-person event, and provide more accurate data among populations that are not as comfortable with computer technology, or have limited or no access to computers. We come to the end of our series Find the Best Survey Software Solution. Throughout this series, we have discussed in detail the 12 most important questions you should ask yourself when assessing your company’s needs for a survey software solution. We hope this series has helped you understand the basics of assessing and purchasing a survey software solution for your organization. We come closer to the end of our series Find the Best Survey Software Solution. We have discussed in detail the 12 most important questions you should ask yourself when assessing your company’s needs for a survey software solution. We continue with post number 11 in this 12-part blog series. We come closer to the end of our series Find the Best Survey Software Solution, in which we discuss the 12 most important questions you should ask yourself when assessing your company’s needs for a survey software solution. Our voyage continues with post number 10 in this 12-part blog series. We continue our discussion of the 12 most important questions you should ask yourself when assessing your company’s needs for a survey software solution. Our journey continues with post number 9 of our 12-part blog series: Find the Best Survey Software Solution. Throughout this series, we discuss the 12 most important questions you should ask yourself when assessing your company’s needs for a survey software solution. Our journey continues with post number 8 in our 12-part blog series: Find the Best Survey Software Solution. Question 8: Do you want to develop paper surveys? We move onto blog post number 7 in our 12-part blog series: Find the Best Survey Software Solution. Throughout this series, we discuss the 12 most important questions you should ask yourself when assessing your company’s needs for a survey software solution.